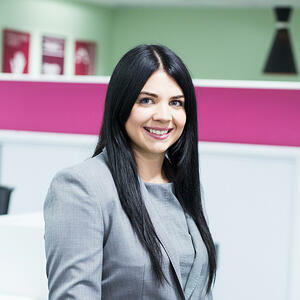 Amber is a Solicitor at CFG Law and helps to look after our clients with extreme efficiency and a smile to match! Amber shows real enthusiasm for her work, having worked in law firms from a young age. She has always been set on helping clients to secure compensation after they have been involved in an accident and this drive shines through in all that Amber does. Amber enjoys seeing claims through from start to finish for clients. She guides them through every step of the way in what can be difficult and unfamiliar circumstances, whilst making them feel secure throughout the process. She takes pride in dealing with cases efficiently and effectively whilst keeping a meticulous and thorough eye on every detail to maximise clients’ compensation. Explaining all aspects of the claims process to a client from the outset to ensure they understand the process as much as possible. Making clients feel comfortable and at ease. Arguing the strengths of our case to the Defendant in an effort to achieve the best outcome possible for every client. The relaxed and friendly environment. The supportive nature of the firm to its staff and clients alike, in order that we work as a team to achieve the best results for our clients. Helping clients to achieve the very best results and receive the compensation they deserve. Litigation and the court procedure. Camping and holidays abroad – I enjoy seeing new and different places.